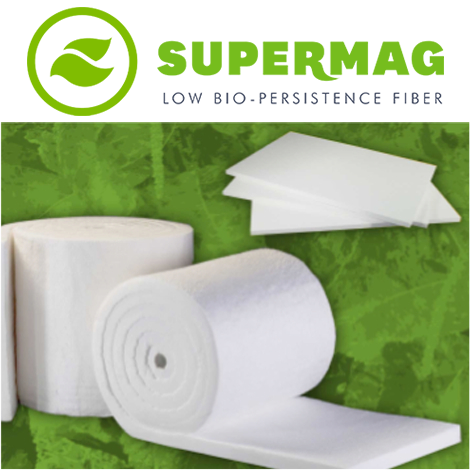 Nutec™ Supermag is a high temperature body low bio-persistence fiber that utilizes a unique spinning technology to create a special fiber with superior thermal and mechanical properties. This fiber is made from a blend of calcium, silica and magnesium and can be exposed to temperatures up to 2192°F (1200°C). Nutec™ Supermag products are produced in our ISO-9001: 2008 certified facility where bulk, double needled blanket and modules are manufactured. The Nutec™ Supermag family of products can be used in a variety of applications including refractory linings, thermal insulation, and fire protection.